There’s been a bit of confusion all over the social media space. 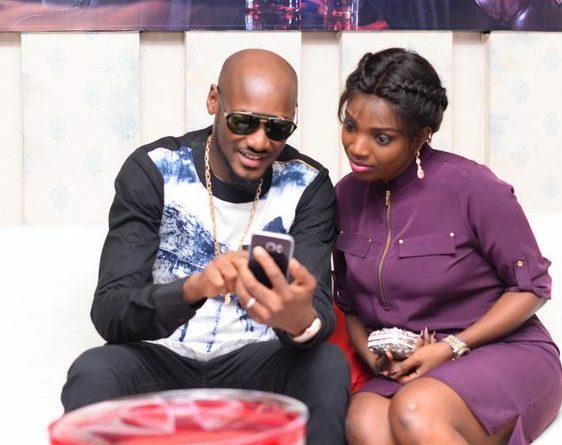 Innocent Idibia, famously known as 2Face Idibia, has publicly apologised to his wife, Annie Idibia for an “unknown goof” and this has got the entire community talking. “I’m sorry to say that I have fucked up so much. I have fucked up as a role model as a father and as a husband. Annie im sorry. I know u tried your best,” Tuface tweeted. It is unclear why the music legend has apologised to his wife “profusely” but is my guess same as yours? Abi 2baba don nack another woman belle??!! While 2Face and Annie are trending on twitter right now, the Hypertek boss has taken down the tweet and remains mum. Annie Idibia on the other hand, has also not uttered a word as to why her husband is apologising. The media space is buzzing as we speak. For some, infidelity maybe the reason 2Baba is apologising, some others see this a “usual” act by the artiste as he is being called “Naija’s King Solomon”. Stay with JAGUDA as we try to shed more light to this mystery. What’s this thing I’m hearing about Linda Ikeji and Tuface? Seeing tweets saying Tuface apologised and that's not easy. How is apologising not easy? I am not understanding. When i hear Tuface dating bobrisky then i will conclude i av heard the worst abt him. For now its normal news. What did tuface do that he’s apologizing? E don go fire another girl? Why is Tuface all over the TL? is he cheating again?